Intaglio Etching remains popular today with artists who enjoy the creativity of its line, tonal range and gravitas of expression. Though its roots are in the fifteenth century it has adapted to modern mark making techniques such as photography and digital media, Smith, A. (2004 p.9). Many of the great artist have of the past and present have made intaglio prints as a significant part of their output – to name a few; Goya, Hogarth, Blake, Picasso, Chagall, Motherwell, Hockney, Oldenburg, Hodgkin. For the last one hundred and fifty years nitric acid has been used as a mordant to bite etching plates. Today the traditional acid based printmaking studio is considered to be a hazardous work environment. The fumes from nitric acid are toxic, impacting on both individual health and environmental safety. 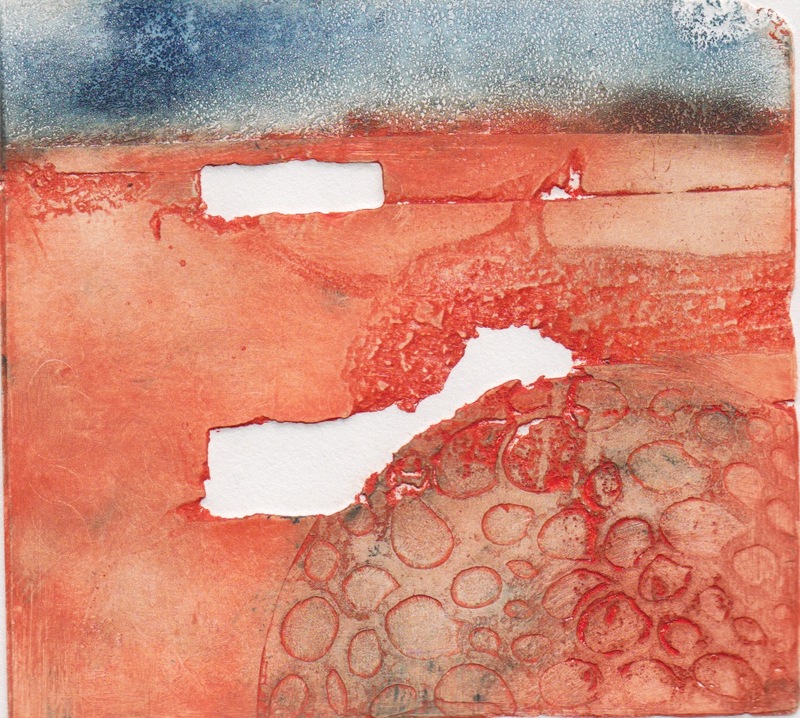 The toxic nature of the chemicals, solvents and acids used in traditional printmaking require fume cupboards and specialist ventilation equipment that is beyond the reach of most artists. Since the early 1990s a growing awareness of the potential health and environmental hazards of traditional etching techniques has led to a real interest in exploring safer and less toxic methods of etching and printmaking (Adam, R and Robertson C. 2007). Another response has been that a number of colleges and art schools have taken etching out of their curricula. (Keith Howard 1993 p. 20) suggests that the lack of exposure to etching as an art form during secondary education and the potential health and environmental hazards of traditional etching will alienate potential students from the art form. He argues that the vitality of etching depends on young people being offered the opportunity to learn about and practice the art. The lack of an effective alternative to acid etching. The researcher is a member of the Regional Print Centre in Wrexham and has a close working relationship with the Leinster Print Centre in the Republic of Ireland. The initial research question came from conversations with members and staff of the two centres while he was researching the saline sulphate as a safe mordant of as part of his M.A. research. Through the literature search a process known as electro-etch was identified as being the best replacement for acid as a mordant. Although electro-etching has been known about since the early days of research into electricity and electric cells (batteries) its use, as an artistic tool has been little exploited. Electro-etching is based on electrolysis and provides a simple, safe and inexpensive way of etching metal. It can be used on copper, zinc, iron/mild steel. It can also etch aluminium that is significantly cheaper than the traditional metals used for etching. Electro-etching requires two metal plates – the one to be etched and another plate called the cathode; a battery and a plastic container holding a liquid, an “electrolyte”. 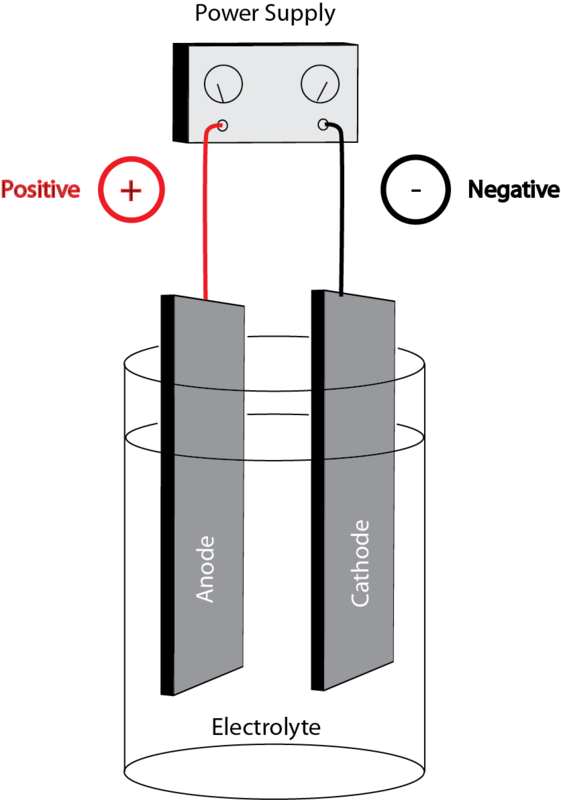 The plates are placed in the electrolyte and each plate is connected to one of the terminals of the battery. An electric current flows from one plate to the other through the electrolyte and metal is corroded or etched from the plate. 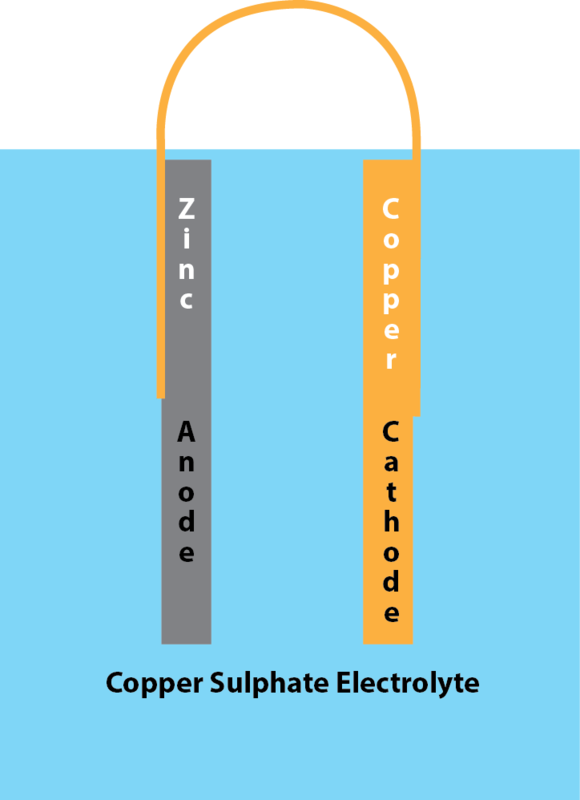 In same metal etching the anode and the cathode are of the same metal and the electrolyte is made up from the salt of that metal i.e. when etching copper both electrodes are copper and the electrolyte will be copper sulphate, when etching zinc the electrodes are zinc and the electrolyte is zinc sulphate. The system is self-sustaining so the electrolyte only requires topping up because of evaporation. The stability of the system means that biting times can estimate accurately unlike acid, ferric chloride, saline sulphate or Bordeaux etch which tire over time requiring etch times to be adjusted for an ever weakening mordant.